As part of the Student Advantage and Teacher Benefits program students and employees of the FAU can use MS Office Pro Plus on their private devices free of charge. Office Online, Skype and OneDrive are excluded from this offer! 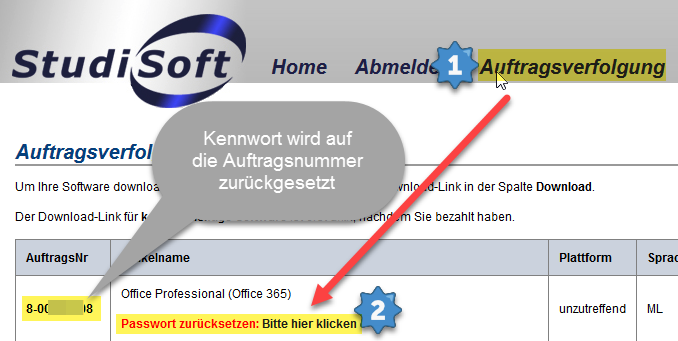 The data you enter during the application process via www.studisoft.de is not transmitted until you explicitly confirm that you allow your data to be sent to Studisoft. 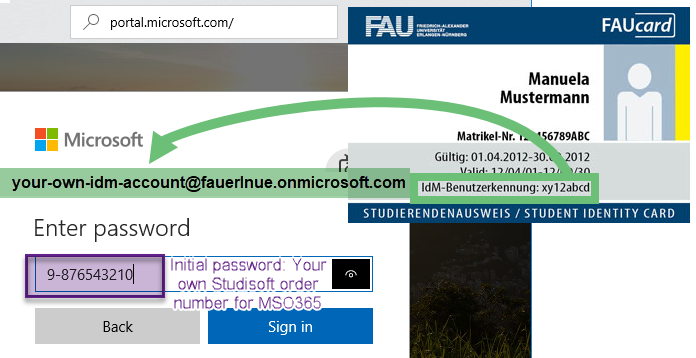 Your IdM identification is not sent to the Microsoft-Portal until you have „bought“ Office on Studisoft. If you do not agree to this you cannot use this offer! Additional data such as name and email address is not transmitted to Microsoft. For more information please refer to the instructions below. The RRZE only provides the required authorization for application via the Studisoft-Portal. The RRZE cannot provide any type of support concerning the products that are available in the Office-Portal. The RRZE has no control over the types of products / versions that are being offered in the Office-Portal. If you forgot your password you can only reset it via Studiosoft. Please refer to section 5 „Resetting the password“. 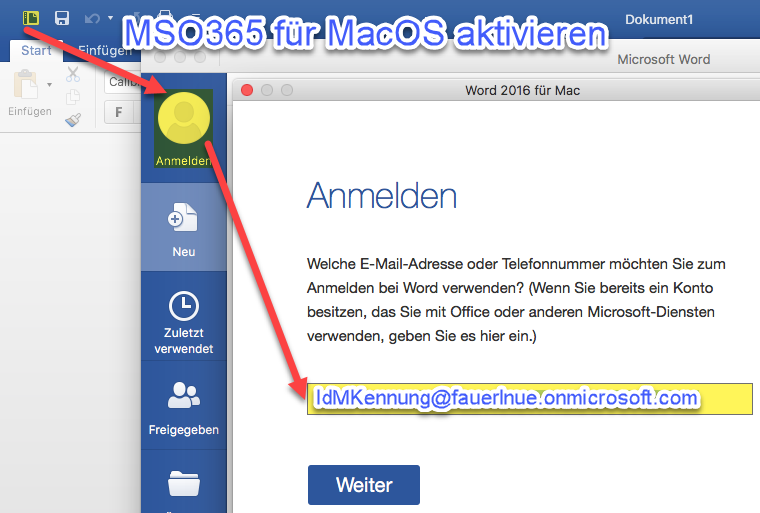 It does NOT work directly within the MSO-365-Portal! please also provide your StudOn/IdM-username and Studisoft-order number. Please indicate during which step (sections 1-9) of the instructions the problem occurred! Please also provide screenshots if possible. The Office 365 Online archive is not available! As of July 2015 login credentials of the configured mailboxes are still being stored on servers of Microsoft when using this app! For this reason the RRZE has blocked the associated user-agents at the Exchange server. When you see the corresponding error message your IdM-login data has already been stored at Microsoft. In this case you must immediately change your password! You are allowed to install Office on 5 windows or macOS devices. Prior activations that are no longer needed can be deactivated via the Microsoft office portal. You will get an email that your order has been received. You will not get an email as soon as the account has been set up! It may take 20 minutes and longer until the MSO365 account has been set up. If necessary try again the following business day. In some instances it may take a lot longer than 20 minutes until your Office 365 subscription has been set up. After the first successful login to the Office-Portal it can take 15 minutes or more until the Office 365 subscription is activated. If it takes longer or does not work please try again at a later time. You must use the installer offered via the portal (Windows / macOS). Please check if there is another version from Microsoft Office (pre)installed on your device. This is often the case for new devices. Please uninstall all Office versions and try again. 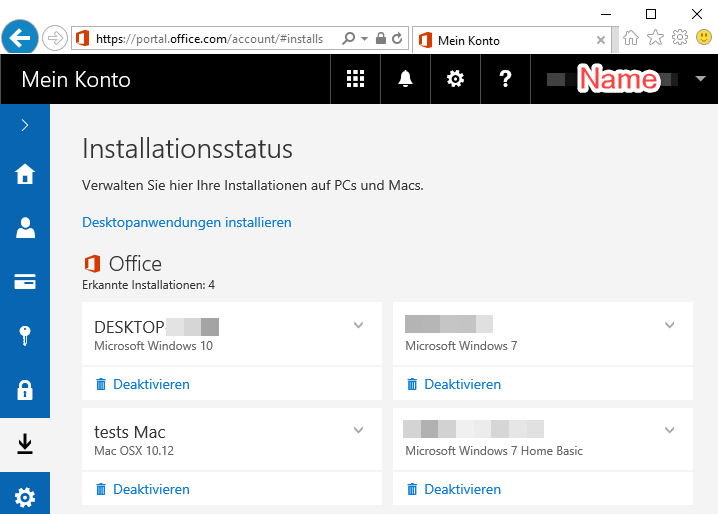 If you cannot activate pre-installed Office-installations, then please uninstall all Office versions and install MSO365 again. You have permission to install MSO365 on 5 devices. Once you have used up your installations you can deactivate earlier activations that you no longer need in the Microsoft-Portal. Your password will be reset to the order number. It may take 20 minutes or longer until your password has been reset in the MSO365-Portal! a browser window opens up -> login. 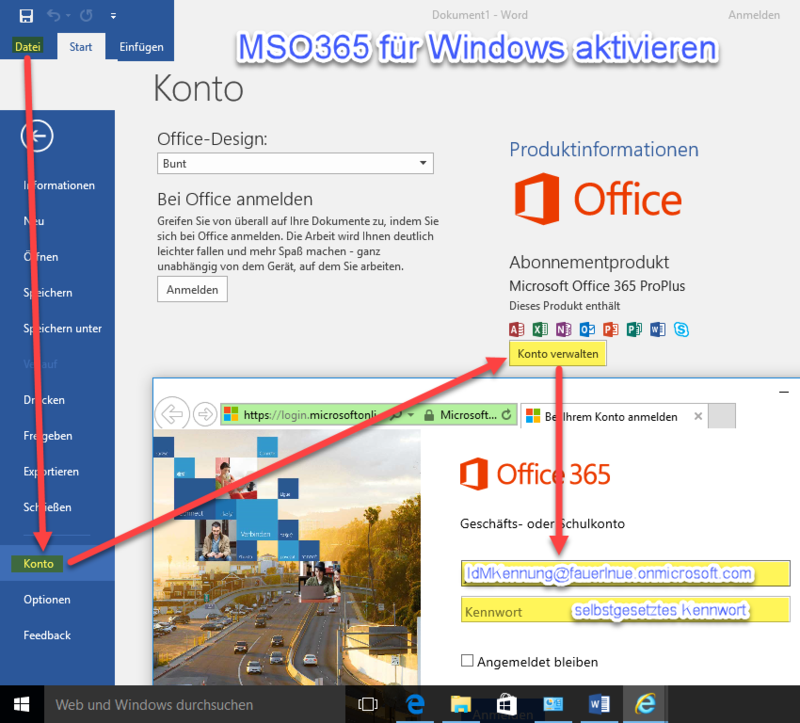 please uninstall all Office versions and install MSO365 again. Then you probably used your FAU-email address as login to Microsoft. Please follow the instructions again as shown starting from section 1. Office Online, Skype and OneDrive are NOT included in the offer. You can only obtain MS Office Pro Plus 365 for installation on your private devices via the RRZE!